Nourishing our children's health by providing healthy canteen food and drinks is a priority for our school community. The Kids Kitchen offers a delicious and healthy menu. All food is made from fresh ingredients, and where possible, uses the produce grown in our Environment Science Centre by our students. The Kids Kitchen is open at recess and lunch every Wednesday, Thursday and Friday during the school term. To order from the canteen go to School24 website. Setting up your account is easy and orders can be placed 24/7 a term in advance. For new accounts our school setup code is 25128963. Please note you need to do this by Wednesday 8:30am for a Thursday and Friday lunch order. All recess purchases are available from the school kitchen counter only. Please do not order via the online system. Canteen staff will always endeavour to fill your child/children's lunch orders. However, in the event that an item is unavailable, we will substitute with a similar item. Note: All chicken and beef are purchased from the Jabal Halal butcher in Mawson. Keep our canteen stocked. To help keep our canteen stocked with great fresh food, we invite parents and friends of the school to donate home baked cakes, slice and biscuits for sale in the canteen. You can bake at home and contribute whenever you have time – once a week, once a term or once a year. Home bake is a great way to contribute to the success and quality of the canteen. Ingredients donations are another option for those non bakers out there. Baking ingredients like flour, sugar, chocolate buttons, cake decorations, etc. are always appreciated. This all helps our bottom line. 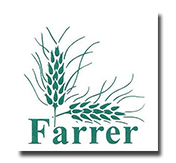 The Canteen Manager is employed by the Farrer School Community Association (FSCA). The viability of the school canteen relies on parents volunteering their time to assist the Canteen Manager. No experience or qualifications are necessary, just a willingness to help. To produce fresh nutritious food at a reasonable price for the students, volunteers are essential. You can volunteer for half an hour or half a day: you are always welcome and appreciated. Oh, and the kids love seeing their mum or dad behind the counter! To make it really easy use the volunteer online roster (School24 website), contact us via email or pop in and say hi! Note: If you can't make your rostered shift, please call the canteen so that alternative arrangements can be made. The operations of the canteen are managed by a P&C representative and a sub-committee made up of parent volunteers. The sub-committee meets twice a year.